Our strengths are our entrepreneurial approach, our know-how, experience and reputation for delivering high-quality exhibitions, bringing exhibitors together with the right audience; we invest heavily in visitor promotion and thus guarantee our customers long-term benefit. 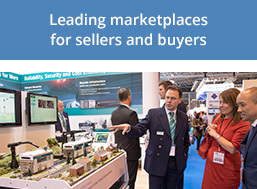 Mack Brooks Exhibitions is renowned for organising targeted trade exhibitions in specialised industry sectors. 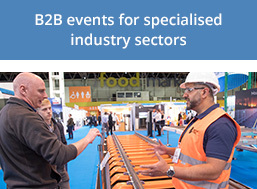 Our B2B events serve as international marketplaces, bringing manufacturers and suppliers together with buyers and specifiers. 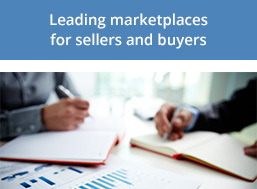 With a strong focus upon doing business, trading, networking, partnering and new business opportunities, our events are highly effective for buyers and sellers alike. Our events are designed purposely for a wide range of industry sectors in the topics of capital goods, raw materials, industrial products and commodities. Industry sectors in our portfolio include airport and aircraft technology, chemicals, corrugated and carton manufacturing, fastener and fixing technology, paper, film and foil converting, plastics, printing, rail technology, sheet metal working and water technology. Our global flagship events are internationally renowned, often as the leading industry event in a specific sector. With our launch events, we target new technologies and emerging communities, providing effective platforms for the conversion of innovative ideas into practical applications and new business opportunities. Our dedicated exhibitions in regional markets are specially designed to meet the demand in developing regions, with a particular focus upon investing in future growth markets. Mack Brooks operates worldwide via five offices in Europe, America and Asia. For our events we choose prime locations and state-of-the-art venues to ensure events of the highest standard and with excellent infrastructure. Offering an individual, first-class customer service is of prime importance to us; we have a proven track record of staging top quality exhibitions which ensure a successful business environment for exhibitors, visitors and all attendees. 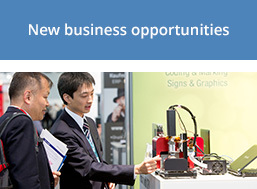 For some of our major trade fairs, such as EuroBLECH, we bring as many as 1,600 manufacturers and suppliers together with more than 60,000 trade customers. Our publishing division “Mack Brooks Publishing” produces print and online publications that provide market intelligence and expertise in specialised industry sectors, such as fastener & fixing technology, sheet metal working and fine & speciality chemicals.